Leaderflush Shapland Laidlaw recently held two apprenticeship open days at its head office in Nottingham in the hope of recruiting twenty new apprentices. The open days were a real success and attracted a large number of individuals between 16 and 19 years old who wanted to develop their skills within a large, progressive manufacturing firm. The apprenticeships were offered across a wide range of departments within the business such as joinery, wood machinery, engineering and administration. 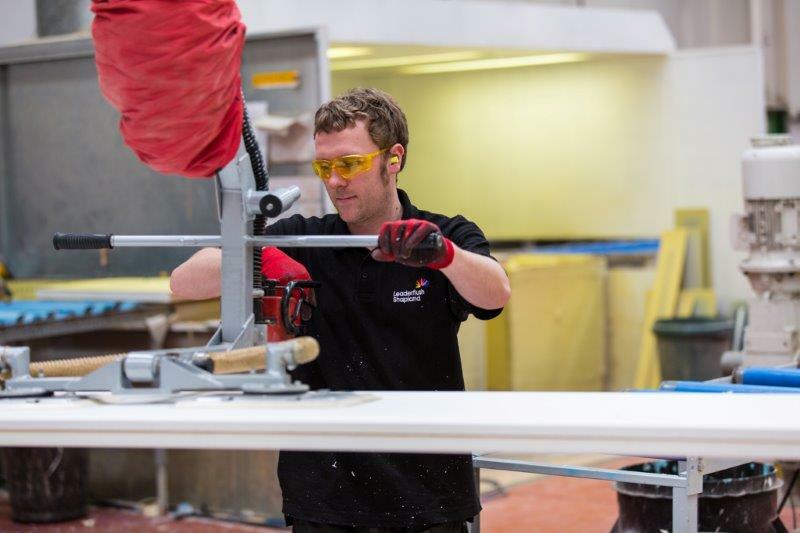 The new production apprentices will spend the first 2 years moving between five departments within the factory. In the third year they can opt to change direction to a one year office/supervisory training programme where they can develop skills appropriate for a career within an office environment. Both open days involved taking the potential apprentices on a journey of understanding the story behind the doorset including a tour of the manufacturing base. The young people were also given an opportunity to speak with many previous apprentices and employees to gain an insight into the business. Also in attendance was local Amber Valley MP Nigel Mills to offer his support to the apprentice programme and the development of local opportunities for young people.